Launched at the 2008 Paris Motor Show, the Ferrari California captured attention from the outset for its compact design and high horsepower. On this road test drive experience, climb into the cockpit of a Ferrari California Turbo—tuned up with optimal suspension configuration for an even racier feel. 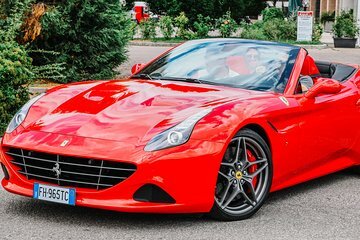 With fuel and insurance included, spin along the same Maranello roads as Enzo Ferrari with your instructor, and find out what makes the California so special.